KATE: Hey, Jason! Wow, what an exciting episode. It had everything: suspense, body horror and a guest appearance from a character actor as our serial killer of the week. It really seemed like typical Hannibal fare at first… and then we got to the ending, proving that the show is really ramping up expectations for this season. If next week’s episode is supposed to be the jaw dropper of the season so far, then I really don’t know what to expect. I’m so confused, Jason! Honestly, I went into this week expecting very little, but boy, was I wrong… so very wrong. So very disturbingly wrong. Is there enough room on that fainting couch for two, Jason? Because I have a feeling I will need some smelling salts by the end of this review. Well, let’s start with the positives. We get to return to Will’s memory palace this week, where we find Will fishing with Abigail. They have a highly metaphorical conversation over the difference between hunting and fishing before we’re snapped back into reality. Will is still in jail and in between visits from Alana, Beverly or Hannibal, he’s busy being analyzed by the all too willing Dr. Chilton. Chilton is working with Will to restore his memory from the previous season with surprising success. It adds a lot to the plot and to the character of Chilton. In the books and movies, I’ve always viewed Chilton as largely useless. We’ve rarely seen anything to suggest he is the master psychoanalyst he pretends to be, until now. He’s actually earning his stripes this week, bringing us (and Will!) back to the memory palace for a replay of the pivotal conversation between Hannibal and Abel Gideon. Will Chilton trigger something in Will to help him remember the truth? We can only hope. I’m very glad the show has embraced the concept of the memory palace, even if they haven’t explicitly named it as such. In doing so, the show has carved out a certain space for relaxation and reflection, both for the characters and the audience. In a world full of body horror and human honey combs, this is crucial. After all, a show ultimately about death can become very heavy very quickly… and Hannibal is no exception. In particular, this episode revolved around how different people confront death. In the case of Bella, we face it head on because we have no other choice; when it comes to Abigail, we go hunting and actively seek it out; in the world of killers like Hannibal and Katherine Pims, it’s seen as a gift to our fellow man, something merciful and well deserved. Which brings me to Beverly. Oh, Beverly. I’ve been crushing on her very hard this season. In my brain, I thought she could be this show’s version of Clarice Starling–a capable, smart, no bull type who sees through Hannibal’s shenanigans and can work to bring him down. Look at that scene in Hannibal’s house! It’s essentially Clarice’s descent into the basement at the end of Silence of the Lambs! Aside from Dr. Du Maurier, she’s the only character around who seems to want to believe Will, so much so that they run the risk of bodily harm. However, Du Maurier had the sense to keep her cards close and disappeared before Hannibal came for her. I guess in the end I was half right. She did see through Hannibal’s exterior, but I’m not sure it’s going to do her any good, given that cliffhanger. What did you think, Jason? Are you as heart broken as I am? JASON: You can have the fainting couch all to yourself for this week, Kate, because Beverly’s death didn’t have the same effect on me that it had on you. Well, to be fair, I had the ending spoiled for me, and while I’d love to grumble about it (thanks a LOT, tumblr), that’s just the reality of television these days: if you don’t want spoilers, watch the episode as soon as it airs or stay off of social media. But whether it was adjusted expectations or a lack of connection with the character, when the moment came, I was more interested in the final shot and the way it indicated her death without showing it. Then again, I just realized that next week we’re probably going to see her done up in one of the show’s infamous corpse displays, at which point all my denial will crumble away and I will most likely shove you off the fainting couch so I can have a good cry. By the way, given the parallels between Beverly and Clarice, and considering what happened to Jack’s original protege, this makes two Clarice Starling proxies that Hannibal has murdered. Maybe it’ll be better for everyone if MGM never gives up those rights. While the death of Dr. Katz was this week’s main event, we also got some forward movement on Will’s “investigation,” along with confirmation that, yes, he is trying to trap Dr. Lecter. I may have been the only one who needed that confirmation, because I am not only not a critic but also not a terribly clever viewer, but it was a least a nice surprise to see Abigail show up and to learn that the “fishing” Will is doing in his memory palace isn’t just for the purposes of relaxation. A quick pause while I brainstorm my Hannibal/Mad Men crossover fic. — but even if Chilton thinks that he and Hannibal need to “stick together,” the fact remains that Will is making some pretty convincing points towards Hannibal’s guilt. The mere act of spreading around that kind of suspicion is a win for Will… although in Beverly’s case, it didn’t turn out so well, so maybe Will ought to keep his big stupid mouth shut. Oh, Beverly! Why? Why did it have to be this way? Um… let’s talk about the music! The scoring on this show is always suitably unnerving, in a way that doesn’t draw attention to itself. It sometimes reminds me Jason Segel’s line from Forgetting Sarah Marshall, about “dark, ominous tones.” But Segel was taking a shot at formulaic CSI-style procedurals that would never do something as adventurous as the use of (what I believe was) an organ in this week’s score. It only happens a couple of times and it draws attention to itself in the best way possible. We first hear a few jarring organ-stabs when Beverly appears in the hallway following Will’s trip to the memory palace. It has the immediate benefit of throwing us off-balance, something the show is quite good at, but it also foreshadows Beverly’s fate in the final scene, where the music sounds like it was lifted from an old Universal horror movie and the credits play out entirely to a single, elongated note. The organ also makes an appearance during Will’s stunning trip into his own mind during Chilton’s treatment, where it plays off the flickering lights to communicate the feeling of disorientation Will gets during his seizures. Another nice little visual touch from that scene: the way the flashing light plays over the physical objects in Will’s memory. 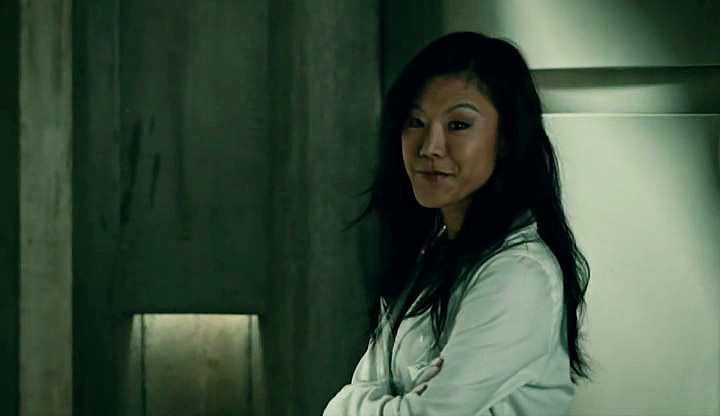 One last thought: what did Beverly find in Hannibal’s basement? I’m betting it was just a lot of creepy cannibal stuff, but I have to admit that my first reaction was “it’s Abigail!” I’ve never bought into the theories about Abigail still being alive, but I guess they’ve gotten inside my brain, anyway. Does that count as “psychological driving?” Wait, don’t answer that. KATE: As much as I want Abigail to be alive, it seems more likely she has already been eaten. Towards the end of last season, Hannibal conveniently served a veal dish right around the time of her disappearance and it read as a wink to the audience. I want Abigail to be alive, I really do, but it seems unlikely, even if the FBI still hasn’t found her remains. At any rate, I don’t think Hannibal is the type to keep his trophies around for long. He either eats them or sets them up as performance art. In the case of Abigail, I’m thinking it’s the former and sadly, I’m afraid Beverly is going to be the latter. Will’s play at confusion was working for him; it just so happens that Beverly played her cards too soon. I’m thinking that if Beverly found anything, it would be Hannibal’s collection of special cookware and yet to be eaten human flesh. Alas, we’ll never know. Say, Jason. Did you know that Fuller originally planned to have Will cough up Beverly’s ear at the end of season one? Just think about that for a second. It isn’t going to change things now, but just imagine what would’ve happened to Abigail if they had focused on that angle instead. While you’re thinking, take some time to enjoy Dr. Chilton’s very lovely singing voice. You know, Kate, it’s weird to think that just under a year ago, we were looking on the idea of a Hannibal series as if it were the stupidest thing imaginable. Even after the gorgeous, surprising first episode, I still wasn’t totally convinced. Bryan Fuller and his band of merry men won me over as the season went on, even if I was still a little on edge. Looking back on it now, my lack of faith was disgraceful and I should be ashamed. Also, it manifested itself in a lot of weird ways in our reviews. Remember that time I said that the show wanted us to disassociate from our bodies? A little much, don’t you think? Well, all that is over, now. I put my full trust into the holy trinity of Bryan Fuller, Hugh Dancy and Mads Mikkelsen, along with the many minor deities of Hannibal, from composer Brian Reitzell to cinematographers James Hawkinson and Karim Hussain to every other actor in the show. And the world is on my side, too! Everyone’s got Hannibal fever. With all reservations put aside, I was able to kick back, relax and let the show do its thing, and my first though upon starting the episode was: OH MY GOD I HAVE MISED THS SHOW SO MUCH. Actually, my first thought was “the big fight scene in season one felt kind of weird but this one is so thrilling and well-choreographed not to mention CRAZY that I have no such reservations.” So, I’ve still got a modicum of critical thought left. Which is good. Yeah, let’s start off with the fact that Hannibal is apparently going to stab Jack Crawford in the neck. I’m not entirely sold on flash-forwards as a concept, but that one was so engaging that I’m going to let it slide. Plus, it reminds me of how the writers of Breaking Bad would set up flash-forwards without having a plan for getting there, thus giving themselves a goal the were forced to meet. At the very least, we now know that Jack is going to get on Hannibal’s bad side by the end of the season, which will certainly shake things up. There’s so much to talk about in this episode, I don’t even know where to start. How cool was it to see Will in his new surroundings? I mean, not “cool”, since my heart breaks a little more every time I see him behind bars, but his new attitude is a pleasure to watch. Will is still on-edge to say the least, but he’s no longer on a slippery slope to insanity like he was last season. 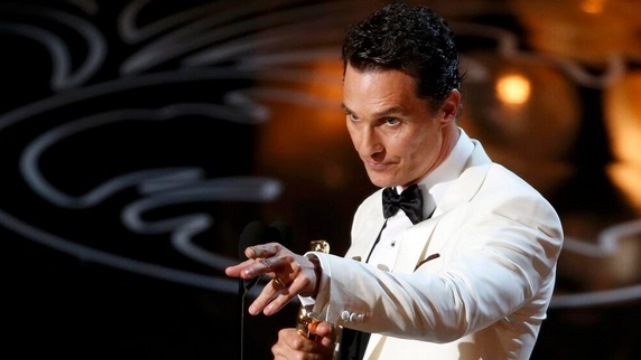 Now that he’s playing the Hannibal to Hannibal’s Will Graham (huh? ), Hugh Dancy gets to show off a new side of Will that still fits with the borderline-autistic murder-genius we’ve all come to love. Okay, I can’t hold it back anymore: Kate! Will Graham has a memory palace! Granted, it’s not exactly like the thing that Thomas Harris describes in the Hannibal novel—for one thing, it’s just a river in the woods, and for another, it’s Will that goes there, not Hannibal. But it’s close enough to set off my Hannibal Geek Radar. That radar went off for another reason when Hannibal and Jack sat down to dinner, though, and Hannibal made an off-handed mention of “Aunt Murasaki.” For those of you who know all aspects of the Hannibal mythos—or those of you who love bad novels—that name should be familiar. Would it be melodramatic to say that the idea of Bryan Fuller incorporating Hannibal Rising into the show makes me gag? He’s too smart for that, right? You think maybe he’s just trying to get a rise out of us? Yeah? That’s got to be it, right? 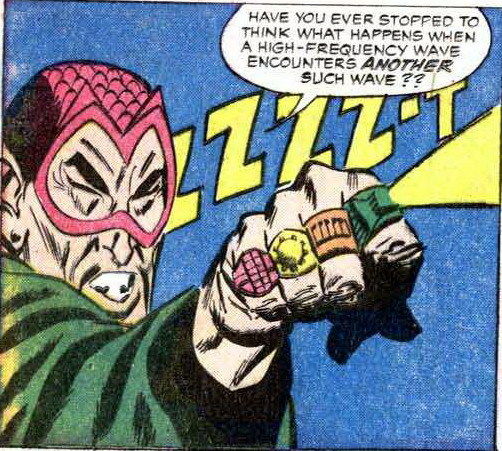 I’m edging out of criticism into pure rambling, so I’m going to pass the baton to you, my more levelheaded co-writer. Please tell me I’m going crazy, and that Hannibal Rising didn’t really happen, and while you’re at it, I guess you can tell me how you felt about the episode. If you need me, I’ll be on the Victorian fainting couch, hand pressed to my forehead. KATE: Hey Jason! Long time, no see! So, where do we go from here? 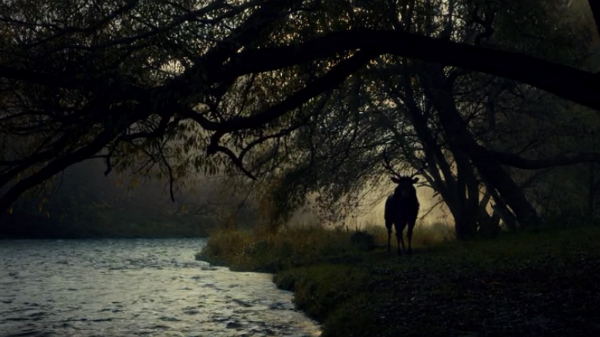 The first season of Hannibal was, quite simply, beautiful. The acting was terrific, the plot was detailed but easy to access and the set design…well, I’ve gushed about this before. Frankly, I’m surprised that so many other people liked the show as much as we did! I loved the first season, but I’m somewhat of a Hannibal superfan, for all of its ups and downs over the years. Why would anyone else bother? If I was an average person approaching this show, I’m guessing all I would know is that it’s yet another installment in a long running franchise. My best guess is that people were lured by the idea of another police procedural and were hooked by its particular kookiness. That’s neither here nor there. Hannibal is back and better than ever…so far. Second seasons are notoriously tricky. Any TV show can put together a stellar first season before they fall off in quality. Can the second season of Hannibal live up to all of the buzz of the past year? If the first episode of season two is any indication, I think it can. I spent most of the episode furiously scribbling notes between freaking out over the on screen visuals. Some of them are insightful, some of them are dumb…all of them are imbued with a certain “HANNIBAL IS BACK, HANNIBAL IS BACK” mania. No worries, there. I’m as pumped for this season as you are.The new Hannibal/Will dynamic is an interesting direction for the show to take. It’s obviously a reversal of what we may know from the earlier movies and novels. For one thing, Will’s cell is almost identical to Hannibal’s from Silence of the Lambs. For another, it gives Will some room to breathe. He isn’t any less crazy, so to speak, but he has gained a new sense of identity. He’s safe behind his creepy plastic jail cell. There aren’t any new killer of the week cases to grab his attention, he isn’t being tricked into eating people’s ears, he’s got a sweet memory palace to escape to… I mean, the situation is looking up! It will be interesting to see where the show takes Will’s situation throughout the season. Keeping your main character in jail has to chafe the writers a little bit, don’t you think? Of course, it also gives the show more incentive to hang out with other characters, especially Hannibal. Is it just my imagination or did we spend more time with Hannibal this episode than any in season one? He has a lot to do, after all. Hannibal is the new Will Graham over at the FBI, as well as resident psychopath of the DC area…he’s got a lot to keep him busy. (Why does Hannibal work for the FBI now? Is there seriously no one else trained in criminal psychology working at the FBI? Really?) Mads Mikkelson has always been wonderful in this role and it was nice to spend more time with him this week. 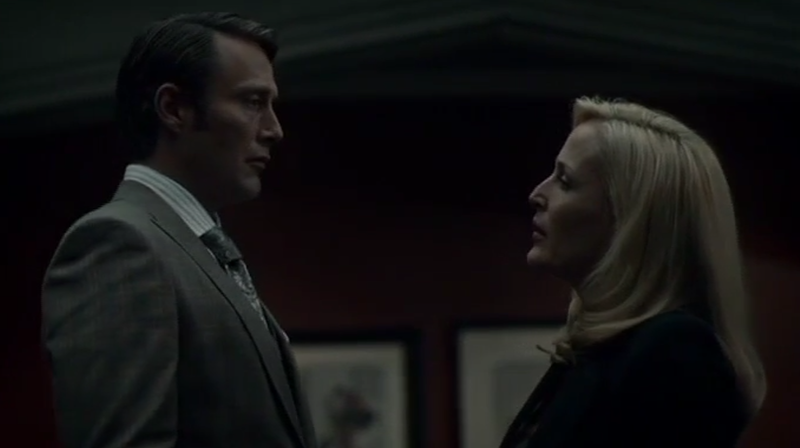 A particular favorite of mine was the scene between Hannibal and Dr. Du Maurier, as he began to discuss his compulsions towards Will. What is his motivation here? In some strange way, I think Hannibal genuinely cares about Will. Framing him for Abigail’s murder was just an unfortunate by product of an unfortunate situation. Some one had to go to jail, Will just happened to be collateral damage. That’s serial killer logic for you, I guess. Help me out, Jason. First crazy Hannibal theory of the season: Do you think Dr. Du Maurier knows about Hannibal? She hinted at it heavily in this scene. For example, “Jack Crawford doesn’t know what you’re capable of…” or “You’re putting me in a position to lie…again.” If she does know (or at least suspects), why would Hannibal keep her alive? Does he owe her a debt? (Maybe). Is she secretly Aunt Murasaki? (No.) Am I crazy? (Probably.) I’m not too worried by the random mention of Aunt Murasaki. If Fuller has control over the character, it won’t be too awful. 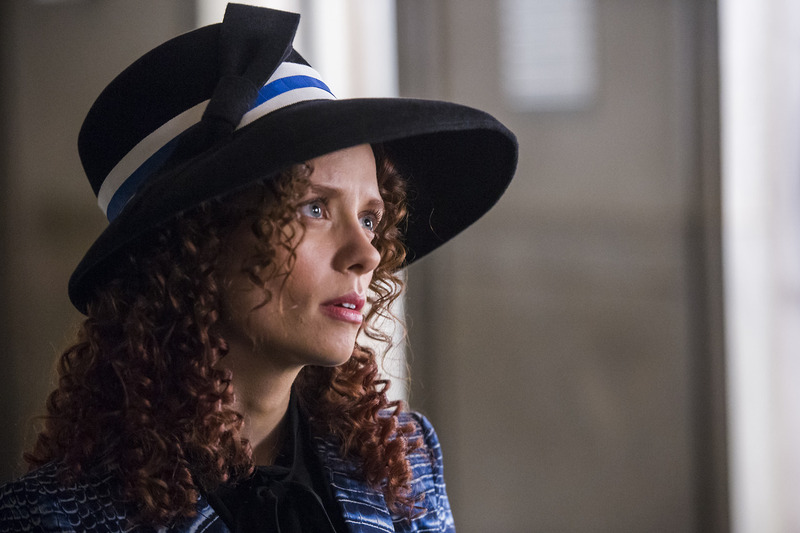 Look at Freddie Lounds. I didn’t find him particularly engaging in the novels and films, but on this show, they’re morphed her into a character that works. I hope…I just really hope they don’t bring up Mischa as a plot point. Like, ever.